A star-shaped home, a PGA National Resort complex and a new library are winners of the Quality Asphalt Roofing Case Study (QARC) Awards, an annual program that seeks to recognize exceptional roofing projects in the United States and Canada. This year’s QARC program paid close attention to the way contractors utilized advances in technology and shingle design, and showcased asphalt’s durability to install a high-performing roofing system. The 2016 awards honored John Foster, a general contractor in Esparto, CA, with the Gold Award for his company’s beautiful and unique installation on a star-shaped home. The homeowners required a roofing system with a style that wouldn’t get lost in the bold architecture. 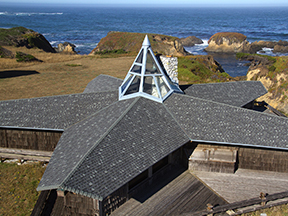 Designer asphalt shingles provided the necessary aesthetic to complement the home, while also protecting it from the windy, damp coastal environment. The Silver Award was given to Advanced Roofing Inc. of Fort Lauderdale, FL. 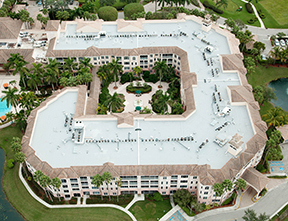 They were called upon to install a new low-slope asphalt roofing system on two buildings at the PGA National Resort and Spa in Palm Beach Gardens. The contractor chose an SBS-modified bitumen roofing system that delivered a pristine appearance while protecting the roof from harsh weather and heavy foot traffic. 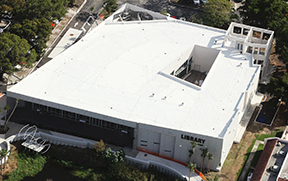 Precision Roofing received the Bronze Award for the roof they installed on Northeast Regional Library in Aventura, FL. The new library required a high-performing, durable system that would protect the building for years to come. The contractor chose a hybrid built-up/SBS-modified bitumen roofing system because they had extensive experience with asphalt roofing’s longevity and knew the system would meet the project’s budget restrictions. “Each of the submissions we received this year illustrated the beauty and curb appeal that asphalt roofing can provide,” said Reed Hitchcock, executive vice president of ARMA. The 2016 awards were judged by a panel of roofing industry experts, including leaders from multiple trade associations, architects and members of the media. For more information about the QARC Awards program, please visit asphaltroofing.org.